To put it in perspective: If 97% of the human population were wiped out, only Australia and Brazil would be left. Thanks to the tireless efforts of conservation groups, there are approximately 4000-5000 black rhinos left. You can be a part of that effort. Your donation helps us support the canine APU’s that protect rhinos in Ol Pejeta Conservancy and Hoedspruit Endangered Species Centre. Please go to Paypal to make a monthly or one time donation. Which is Your Favorite Rhino? 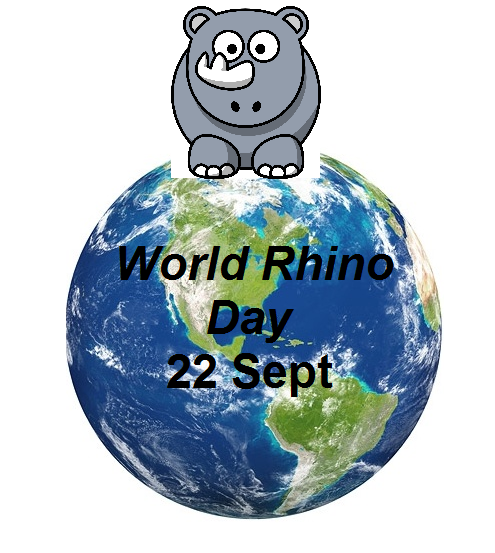 45 species of rhinos used to exist in the world, dating back 50 million years. Today there are 5 remaining species. They are all endangered. 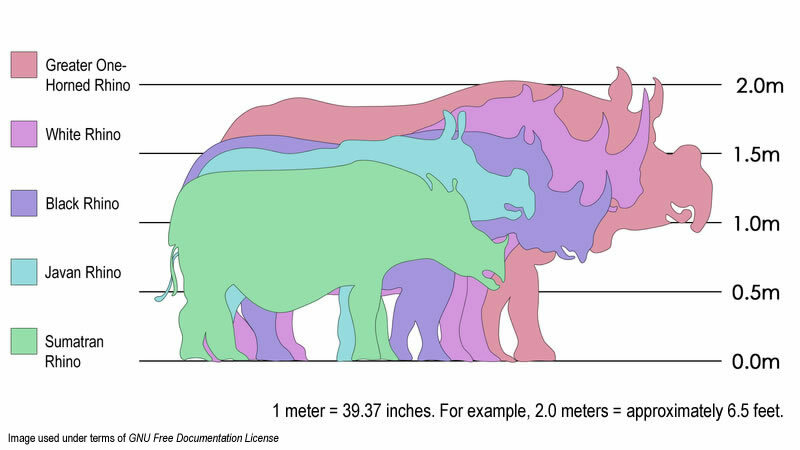 The largest is the Indian or Greater one-horned Rhino. 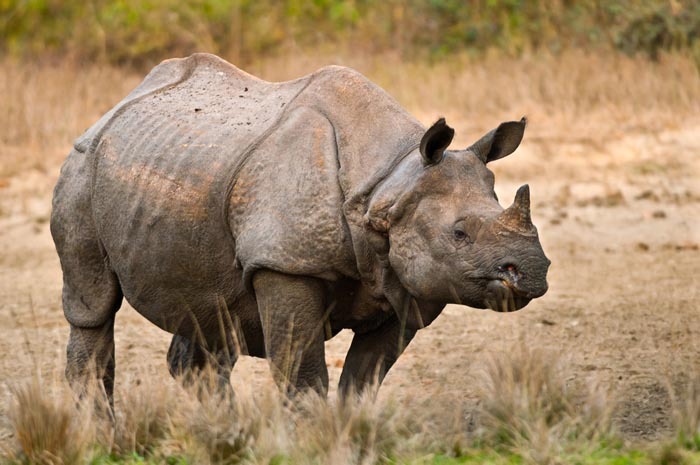 Living in India and Nepal, they are the “big guys” in the Asian group, rivaling only the White Rhino for size; about 2 meters high and weighing in at 1800 to 2700 kg. 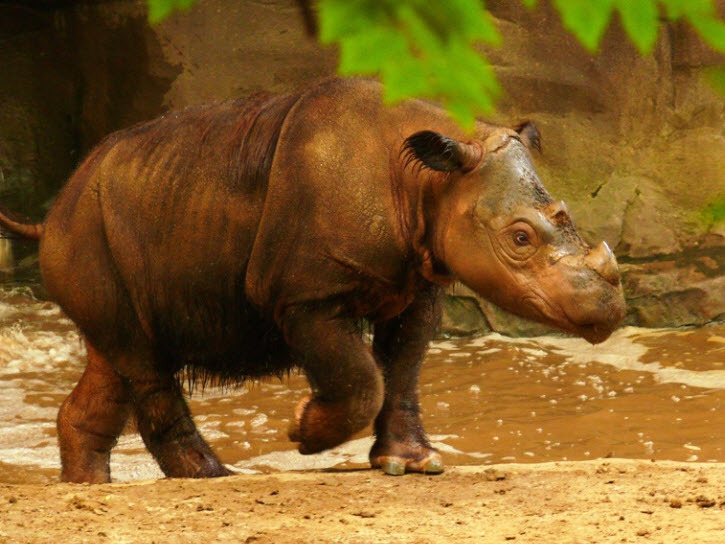 They live near bodies of water, and are actually very good swimmers and can run up to 40mph (64 km) Both species of Asian rhinos use their incisors, not their horns, to defend themselves. 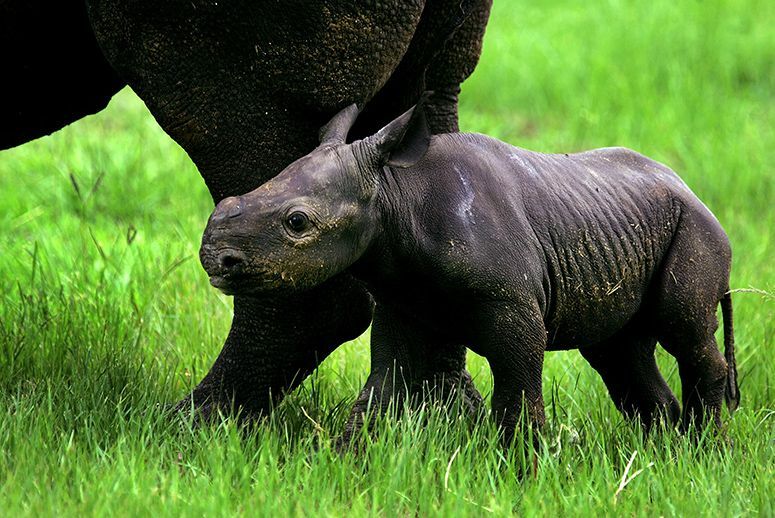 The Javan (or lesser one-horned rhino) is the “little brother” of the Asian rhinos. They are 1.4-1.7 meters high, weighing in at 900-2300kg, similar in size to the Black Rhinos of Africa. There are only approximately 37-44 left in Indonesia. They are the least vocal of the 5 species, and highly dependent on the forests for their survival. Black rhinos are one of two species found in Africa, they are the slighter smaller, shyer and more aggressive than the White Rhinos. They are approximately 1.6 meters tall, the males weigh in at 1350 kg, while the females are about 900kg. They can be quick- running up to 34mph (55km) an hour. Like their White cousin, they are often seen with Oxpeckers on them; the birds remove ticks and parasites, helping keep them clean. 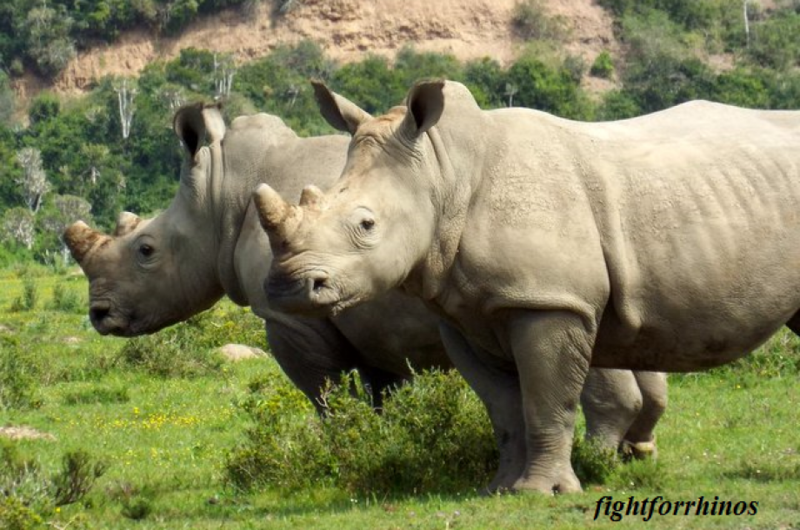 White Rhinos are the “big guys” on the African savanna, 1.5-1.8 meters high, they weigh in at 1800-3000 kg. 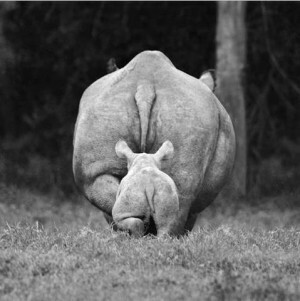 They are distinct from the black rhinos, as they have a square head, which is lower to the ground. 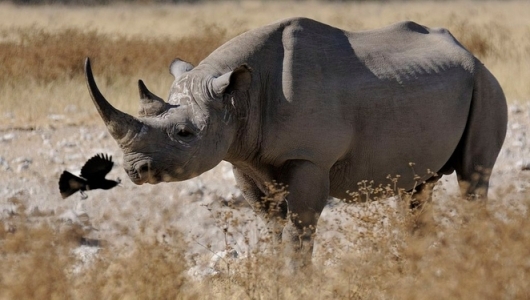 Unlike other rhino species, they do not have a prehensile hooked lip for browsing and picking at bushes and branches, instead they are built for grazing. They are the more docile of the two African species. Sumatrans have been on earth longer than any living mammal, but sadly there are less than 100 left. Living in parts of Borneo and Sumatra, they are the smallest of all the rhino species (1-1.5 meters high, weighing just 600-950kg). They have a unique reddish-brown coloring, with bristly hair. 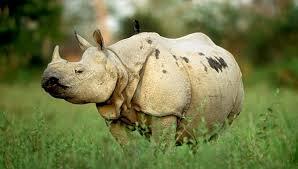 They are the most vocal of all rhinos, and quite agile, able to climb mountains and maneuver steep riverbanks. Here in the midwest US, we’ve been in the shadow of a very long winter going on 3 months now. Enduring record low temps and high snow fall amounts, the midwinter blues seem to be settling in on the animals just as much as the people. The Potter Park Zoo in Lansing, Michigan is home to two very antsy, energetic black rhinos: Jello and Doppsee. 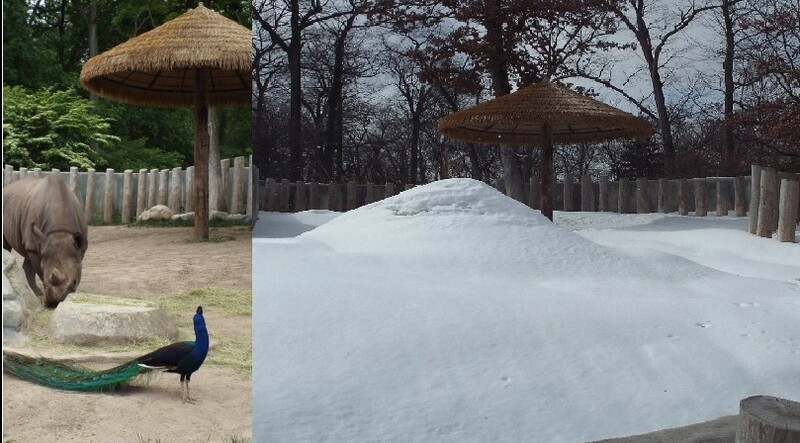 Rhino boma in summer and now. To welcome me, I visited with Baraka, the black rhino ambassador to Ol’ Pejeta. Baraka’s name is swahili for “blessings”. He has been with OPC since 1994. What makes him so special is his disability; Baraka was involved in a dispute with a fellow rhino which left him blind in one eye. Later, the poor guy developed a cataract in his other eye and is now completely blind. 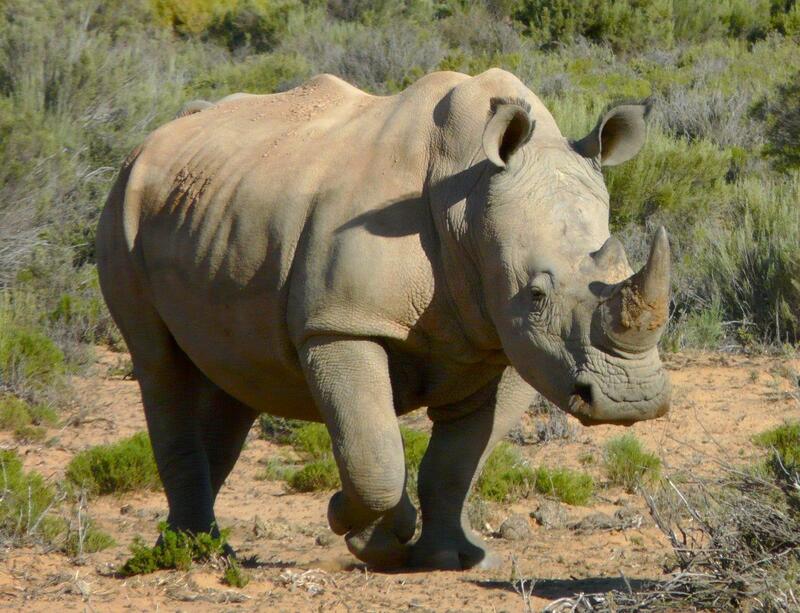 Although he has been separated from other rhinos for his safety, he is well cared for and a highly anticipated stop for anyone visiting the facility. His gentle presence allows visitors a rare opportunity to be up close to a creature in peril of disappearing.